Alex Chambers hasn't felt anything for another woman since his wife died a few years ago. His life is his restaurant, until the moment he meets his new waitress. Something stirs within him that's been dormant for a long time. Once the truth is revealed, will their relationship be able to survive? Or will the revelation shatter the love that's grown between them? Gemma Payton has a good opportunity start again. She was fortunate to survive an abusive relationship, but ended up in a situation that resulted in her going to prison. Alex Chambers offers her a job in his restaurant. He cares not one whit about her past, but is is concerned that he is so drawn to her. After his wife died a few years ago, he was just not interested in any relationship. Why things have changed now, he has no idea. The hardest battle they have ahead of them is that there is an incident from their past, something absolutely horrible, that they share and will no doubt test the bounds of their newfound love of another. Gemma and Alex unknowingly enter a difficult relationship to begin with. Now, when facts are revealed, it is very hard to imagine them finding a happy future together. Despite it all, Alex's sister Rachel plays the long-suffering matchmaker. She is bound and determined that Alex and Gemma are just perfect for one another. One person not so happy about them is Alex's father Thomas. There is just something bothering Thomas and just cannot let it go. What a wonderful story of accepting someone despite impossible circumstances. This was a great debut novel by Moni Boyce and I look forward to reading more from her in the future. Many thanks to BooksGoSocial and to NetGalley for this ARC to review in exchange for my honest opinion. 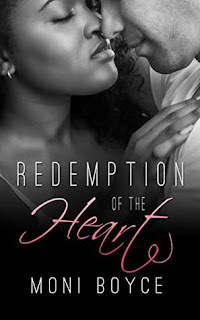 Moni Boyce is a writer, filmmaker, poet and author of the new romance novel Redemption of the Heart. She spent the last fifteen years working in the film industry and now creates characters of her own and brings them to life on the page. Moni has ghostwritten romance novellas and novels for over a year now and decided to put some of her own creations out in the world. She considers herself a bookworm, film buff, foodie, music lover and an avid world traveler having visited 31 countries and counting. She lives a bit of a nomadic life, but considers Los Angeles home. Which is the subject of her first travel book: Greater Than A Tourist – Los Angeles, California: 50 Travel Tips From A Local. You can follow Moni on her author pages at Amazon, Goodreads and BookBub. This one sounds like a great read. Wonderful review! Loved your review. I'm glad you enjoyed it. 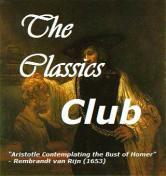 Nice review the book sounds intriguing.